On the 4th of July, it rained all day long here. I took the opportunity to stay inside and sew some projects for some products I am working on. It was actually quite fun - reminded me of the hours I would spend sewing as a kid during the summers. Now it seems I only sew for work-related stuff but at least I'm sewing. Hope your 4th of July weekend was good. Summer is in full swing. It is 90 degrees and humid here. Check out the Feeling Stitchy blog where Flor has done a review of my Craftsy Stitch It With Wool Class. 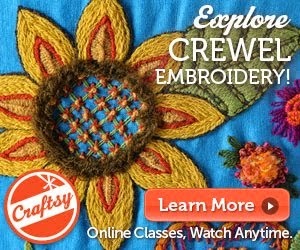 There is a half-off discount link there for the class too on the Feeling Stitchy blog. Here's the post. Thanks Flor. Check out the project Flor is making inspired by the class. Beautiful job. Speaking of Crewel Embroidery - I still have spaces available in my July 19th class here at the farm. Here is the link. That is not this weekend but the next weekend. Come to the farm and spend the day learning. Below are some close-ups of stitches students will be learning. 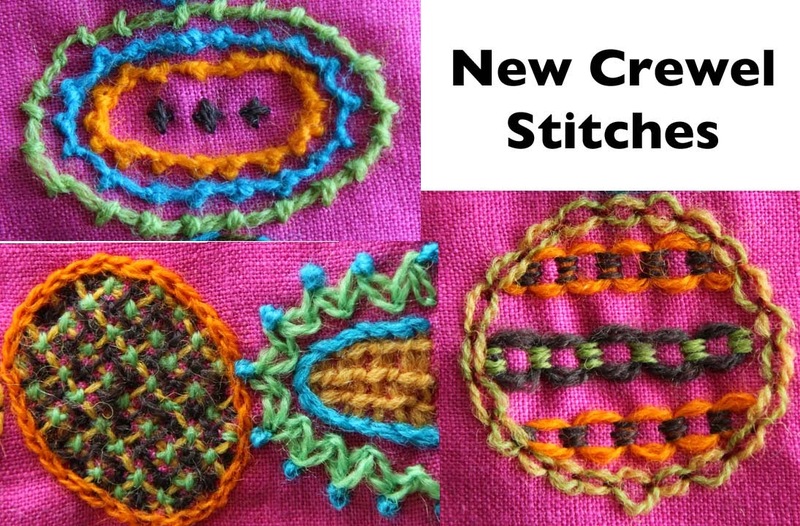 None of them are the same as my Craftsy on-line class -- all totally new decorative stitches to learn. If you need any info about the classes, e-mail me and I will get back to you. 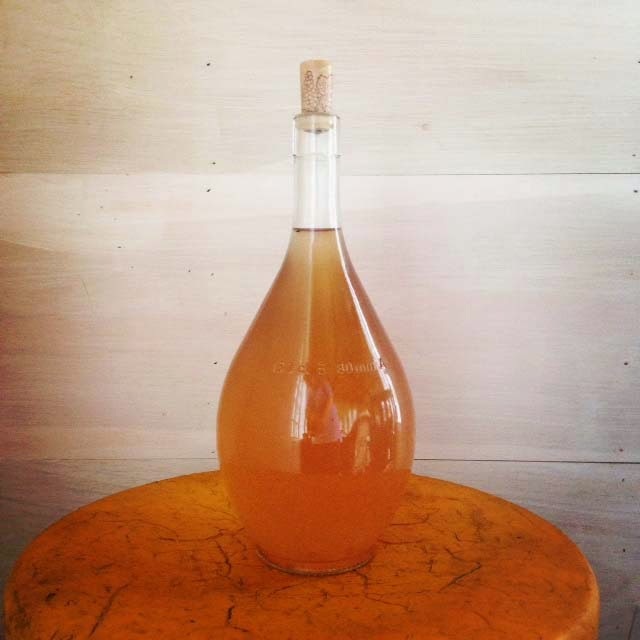 I finished the elderflower cordial/syrup. 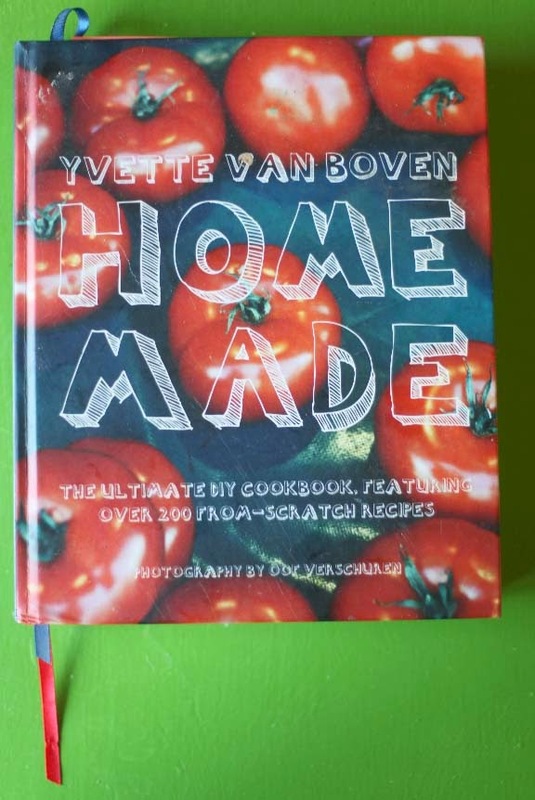 I got the recipe from Yvette Van Boven's cookbook Homemade. Have you seen her website and work? Stunning. She has a few other cookbooks out now - Homemade Summer and Homemade Winter - and I am contemplating their purchase. Yvette lives in both Paris and The Netherlands and has beautiful style. She is also an illustrator. Her husband is the photographer. 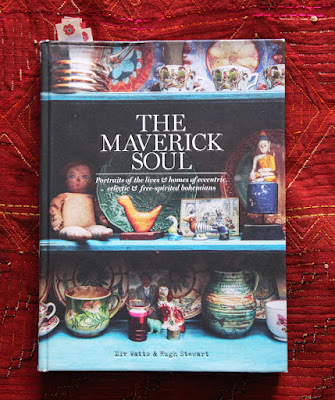 Really gorgeous cookbooks. Right now I am reviewing them from our awesome interlibrary loan service here in western Mass. Cut off the stems, leaving the blossoms attached to the small stems that hold them all together - as shown in the photo above. Place them in a large pot along with the lemon slices and immerse everything so it starts soaking. Leave in a warm spot for 24 hours. Strain the liquid into a stainless pot. 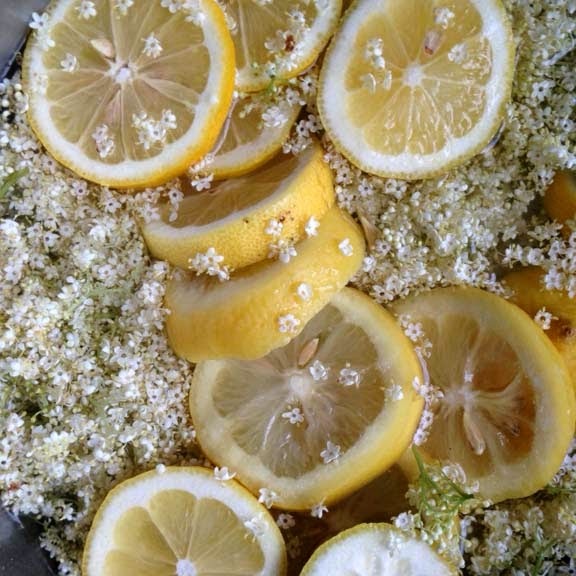 Squeeze the lemons and the flowers so all the juices are in the pot. Bring the liquid to a boil and add the sugar. Keep on stirring until all the sugar is dissolved. Skim off any residue. Using a funnel, pour it into a pretty bottle and keep it in the fridge. It should keep for a while. I suppose you could run it in a hot water bath and can/preserve it but the directions do not say much about that. What to do with it? It is very sweet so a little goes a long way. Add a splash to some seltzer for a refreshing drink. Or mix it with some alcohol - Here's a recipe. Here are some more. I would love to try it. I don't think I have ever seen an elderberry or an elderberry flower. Looks like making it is out of the question. But I can dream. It is interesting to see how elderberries grow in the East. Here on the West coast our Elderberries are trees some 30+ feet tall. It takes a ladder or a special pruner to pick the flowers or the berries. I sometimes climb on the roof of the woodshed to pick berries but I still need the pruner with the ten foot pole. I usually make elderberry jelly. Because the flowers and berries are so stemmy, I steam them to get the juice and work from there. The berries are pretty tart so it requires lots of sugar but ultimately it turns out quite tasty.